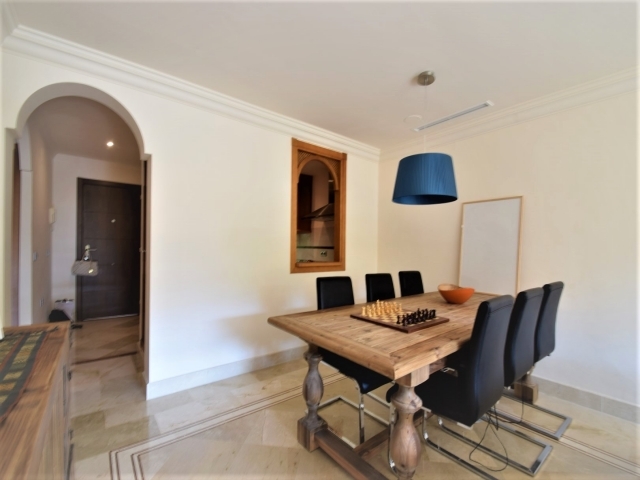 Attractive two bedroom apartment for sale in Aloha Hill Club, an exclusive gated complex nestled in the hills of the Golf Valley. 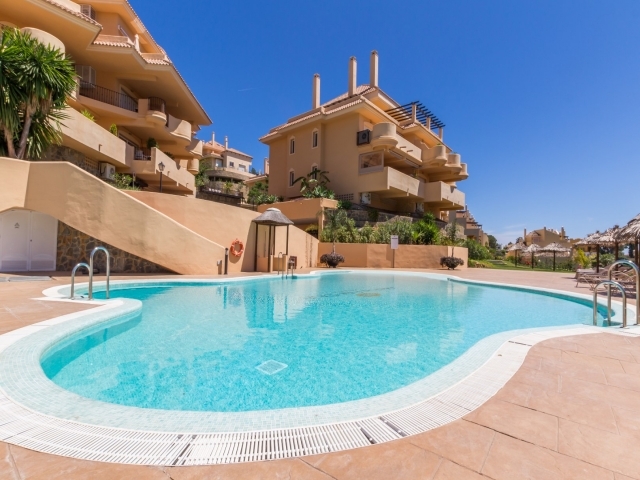 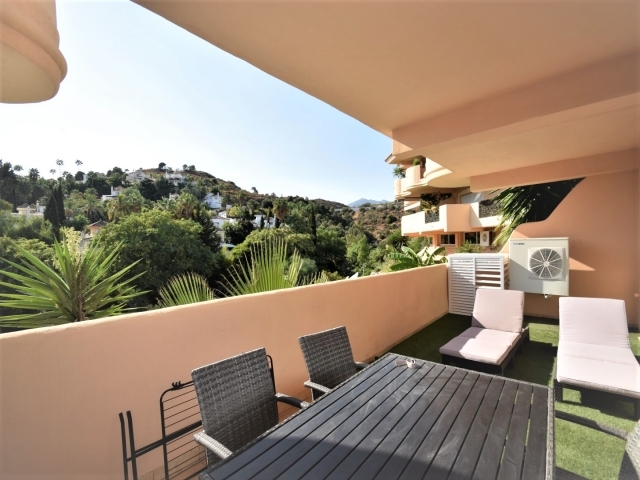 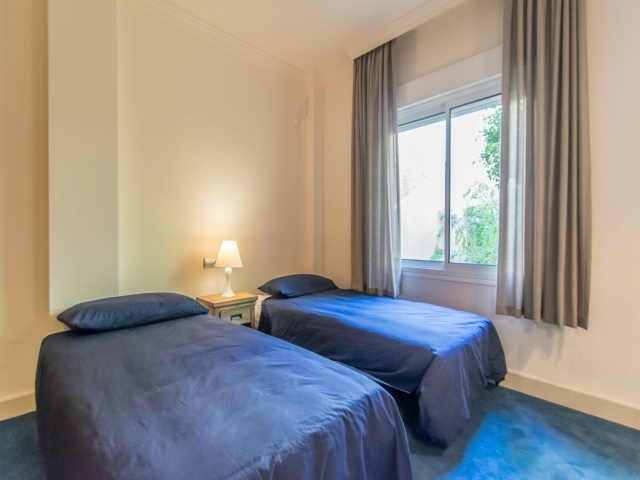 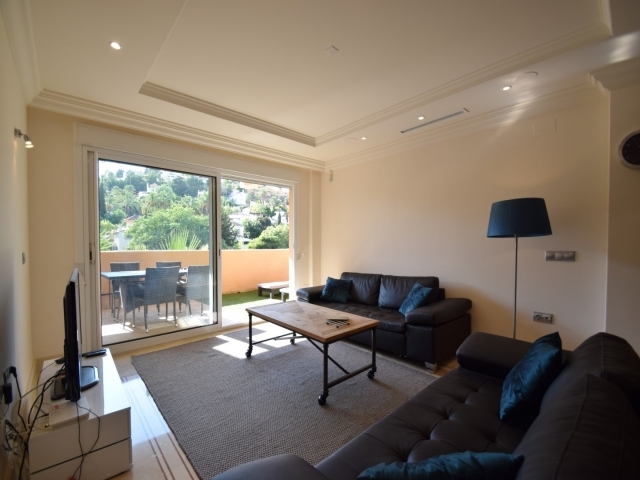 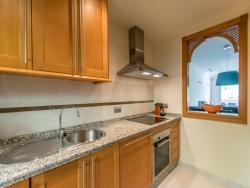 Situated just a short drive to all amenities, including the luxury harbour of Puerto Banus, international schools and Marbella town centre, it proves a popular choice for residents and holiday makers. 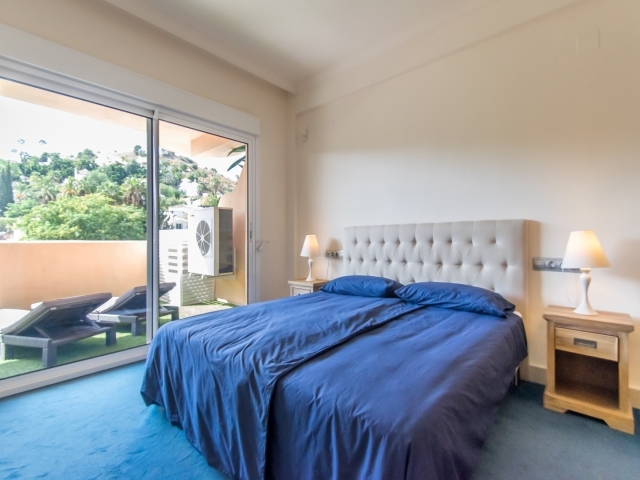 Aloha Hill Club stands out from other residential complexes on the coast due to its wealth of on-site facilities: as well as 24-hour security and a 5* concierge service, it boasts an indoor heated pool, gym, sauna, tennis courts, relaxing pool bars and a restaurant. 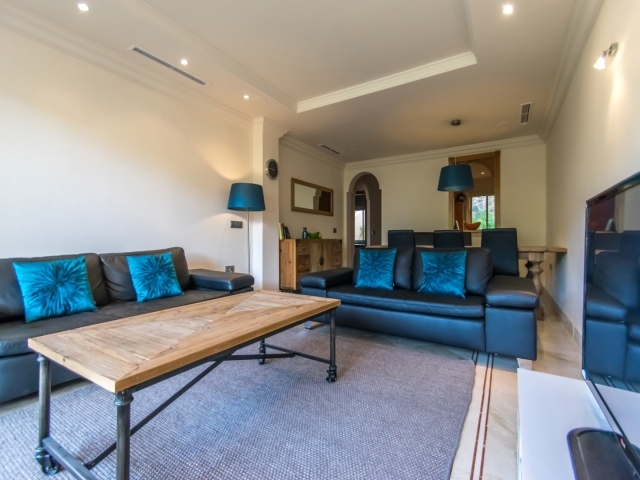 This unit comprises an entrance hall, fully fitted kitchen, living and dining room, en-suite master bedroom and a guest bedroom and bathroom. 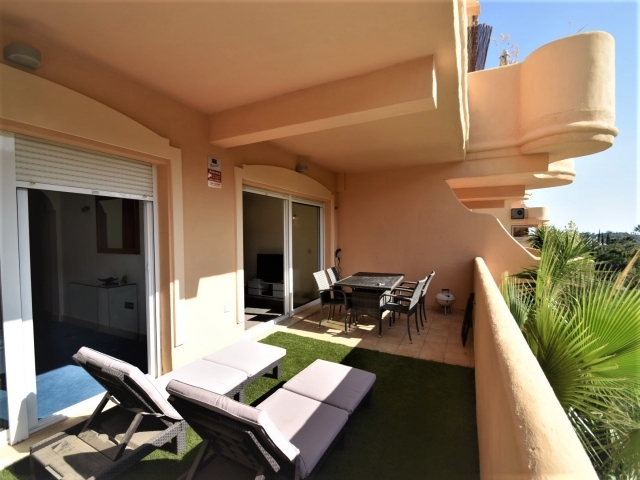 The living room and master bedroom both lead out to a good-sized terrace which provides ample space for sunbathing as well as al-fresco dining. 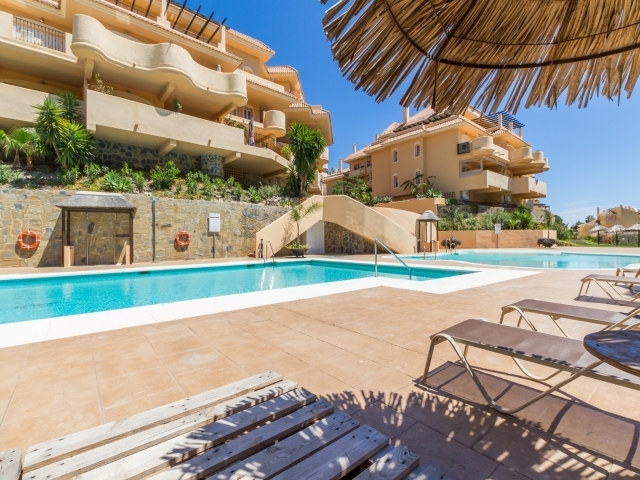 West-facing, it enjoys plenty of evening sun and lovely views over the communal swimming pool area. 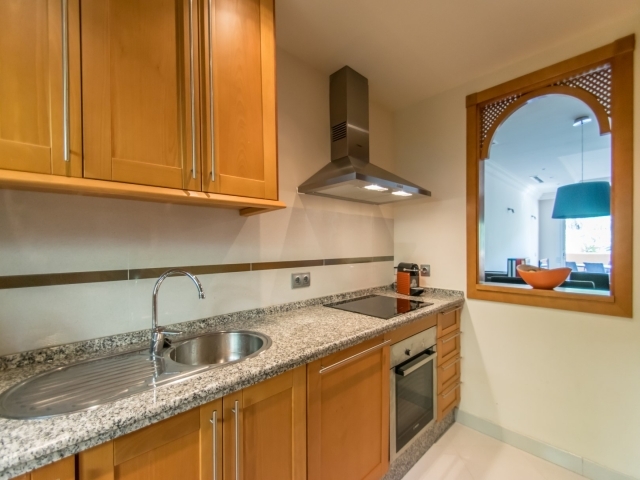 Other features include garage parking, storage and underfloor heating in the bathrooms. 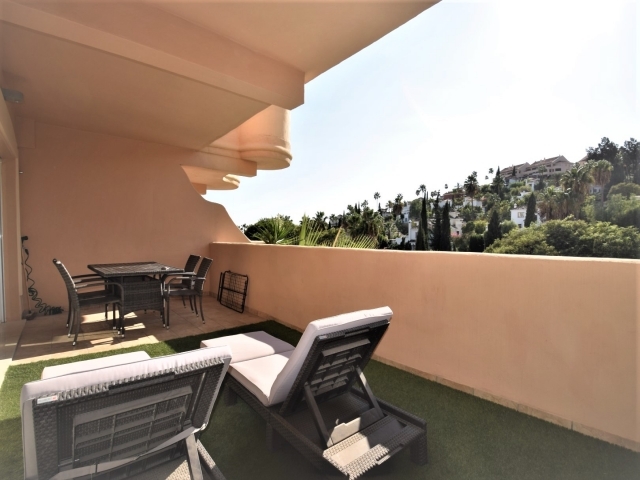 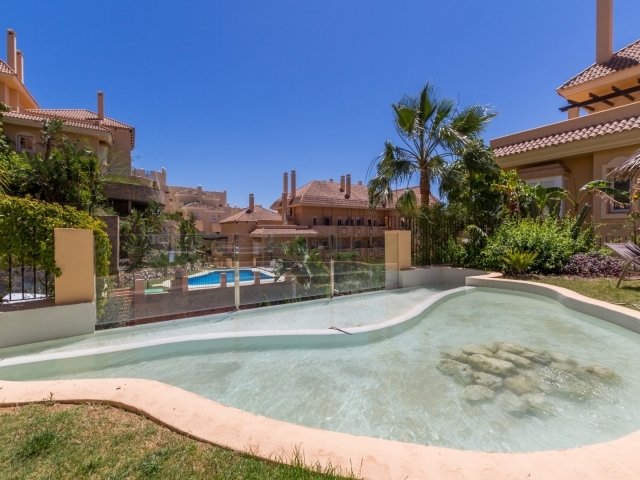 Offering comfort, luxury and security, this is a fantastic option for anyone looking to buy in the Nueva Andalucia area.